The recent times have seen an increase in racial hate crimes, especially during the time of Mr. Trump’s election campaign. NBC news reported in March 2017 an increase by 20% in nine metropolitan areas of the US. While many of these hate crimes have targeted Muslims and other immigrant groups, the attack on the 22nd of February was the first on members of the American Indian community. On this day, a gunman by the name of Adam Purinton killed and wounded two Americans of Indian origin in Olathe, Kansas. The incident took place at Austin’s Bar and Grill. Eyewitness accounts recall the gunman, a white 51-year-old male, barking racial slurs at the men and aggressively shouting at the two victims that America was not their home before leaving the establishment and shortly returning with a gun. The Local and Federal authorities continued to investigate the attack and concluded that it was a hate crime. Mr. Purnton was accused and eventually charged with two counts of attempted premeditated first-degree murder. Both Srinivas Kuchibholta and Alok Madasani were engineers for Garmin, a GPS navigation and communications device company. The hero of this event is Ian Grillot, who ran towards the gunman, and tried to disarm him. He succeeded, whilst suffering a shot to the hand and chest. Mr. Grillot was embraced and celebrated for his heroics by the American Indian community. 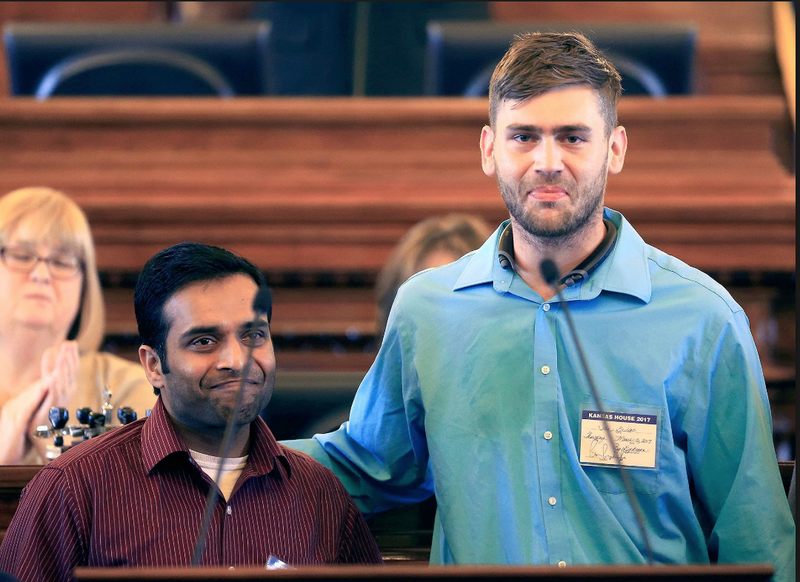 The Indian government invited Mr.Grillot to visit the country for his courageous actions. To further their thanks, India House Houston, a nonprofit organization awarded Ian and his family $100,000. With that sum of money, Mr. Grillot was able to buy a new house. Adam Purnton was indicted on two federal hate crimes and a firearms charge by the Justice Department. The shooting has raised concerns that the Trump administration’s tough talks on immigrants are giving rise to animosity towards people of foreign descent. Many states, in fact, have reviewed their anti-hate laws and increased the penalties for what is considered a hate crime. In India, people planning to move to the US for education or work opportunities are beginning reconsidering their options.